In the presidential elections in Brazil, won the odious right-wing politician Jair Bolsonaro who intended to radically change the political course of the country. Western media have already raised a tantrum about this, calling him an ultra-right populist, chauvinist, supporter of torture and military dictatorship. What is so scared of Westerners? The far-right candidate from the Social Liberal Party, Jair Bolsonaro, aka Messiah, aka Brazilian Trump, won the second round of the presidential election, with the support of a little over 55% of voters. 44% of Brazilians voted for his rival from the left Workers Party, Fernando Adda. Meanwhile, the real Trump - American - decided to personally congratulate Bolsonaro on his victory in the elections and expressed hope for the development of cooperation between the two countries. Bolsonaro’s victory has already caused clashes within the country. After the politician announced his intention to radically change Brazil’s external course, wishing to stop “flirting with socialism, communism, populism and left-wing extremism,” his supporters and opponents in São Paulo staged a brawl, the police had to use rubber bullets. Following this, the newly elected president changed his mind to be guided by ideology in foreign policy, promising to unite all Brazilians and find a good foreign minister. Bolsonaro'svictory plunged the Western media into shock. For example, the New York Times told its readers that Brazil has chosen an ultra-right, determined populist and conservative who defends torture, is a supporter of military dictatorship and threatens his political opponents. In addition, the NYT has put Bolsonaro on a par with right-wing politicians who came to power in Europe, such as Matteo Salvini in Italy and Viktor Orban in Hungary. The publication suggested that the victory of such a man could have an impact on the whole Latin America and lead to serious changes in the countries of the region. The British Guardian also delivered a smashing story about the new Brazilian president. 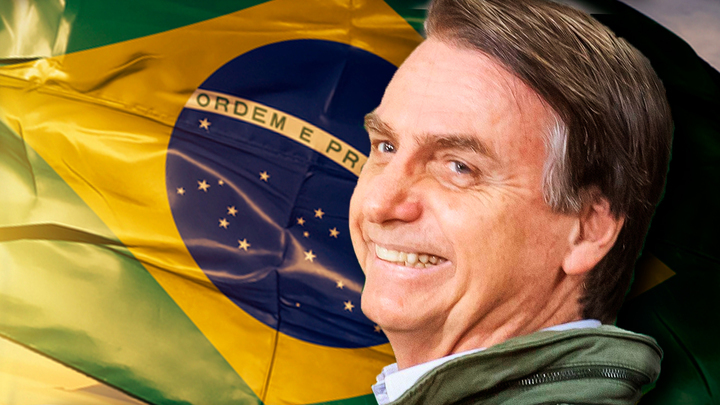 And although at the beginning of the article there are quotes of ordinary people who rejoice over the victory of Bolsonaro, the publication indicates that the triumph of Bolsonaro causes anxiety among millions of progressive Brazilians who fear the growth of intolerance in their country. The Guardian also recalls that Bolsonaro is known for his hostility towards blacks, homosexuals, indigenous people and women, and also admires the dictatorial regime that was in Brazil from 1964 to 1985. On the other hand, as the Guardian journalists note, tens of millions of Brazilians associate Bolsonaro with changes after a long-term economic crisis in the economy and a series of corruption scandals involving the Workers ’Party that ruled the country from 2003 until the impeachment of Dilma Ruseff in 2016. Note that the popularity of Bolsonaro among most of the Brazilian voters really has a basis. Thus, the captain of the retired Brazilian Airborne Forces and a deputy of the National Congress since 1991, being quite tall (186 cm) and charismatic, conducted a powerful and aggressive election campaign. Among his trustees were many world-famous stars, of which the most prominent are the football player Ronaldinho, Formula 1 driver Emerson Fittipaldi and mixed-style wrestler Jose Aldo. Bolsonaro is a right-wing populist, a retired military man, for 28 years he was a member of the lower house of the Brazilian parliament. During this time, he changed many different parties, but his political orientation is the far right flank of Brazilian politics. He won, gaining popularity on slogans for the fight against corruption, for the fight against organized crime, which has recently literally conquered cities, on criticism of all previous and current authorities, primarily the governments of the left forces, which have been in power for 13.5 years. It happened against the background of complete disbelief of the Brazilian society to any traditional politicians, so people thought that this is exactly the politician who can solve problems that everyone is worried about. Which of the external forces is advantageous election to Bolsonar? Bolsonaro openly admitted his sympathies to US President Donald Trump, and calls him his idol. Bolshonaro wants rapprochement with the USA, with Europe, with Japan, with Israel. However, not a single word was said about BRICS and Russia either before or during the campaign. In domestic politics, Brazil has always focused on the United States. Under Barack Obama in Brazil there was a triumph of the left; under Donald Trump, a representative of the right won against Zhair Bolsonaro. Why is it beneficial to the United States? The USA is the largest oil producer in the world. Brazil today ranks second after Venezuela in the number of oil reserves in Latin America, and also 12th in oil reserves in the world. The United States has a strategic need to control the Brazilian oil market, it is important to know what is going to happen there, and it is important that it does not consolidate and get out of control. And in this sense, Bolsonaro is the best president for the United States.